TOMRA Sorting has a solution for sorting blueberries. 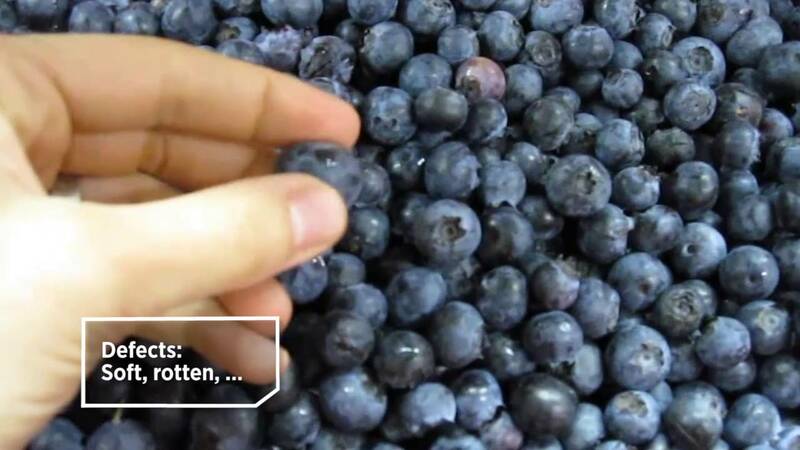 From wild to cultivated and fresh to frozen blueberries, TOMRA gets everything sorted, whatever the color or defects are. TOMRA’s blueberry sorting equipment is able to detect and remove soft, rot, unripe or discolored blueberries, as well as insects, stems, leaves and all types of other foreign material. The introduction of a TOMRA Primus-D optical belt sorter is providing accurate quality monitoring of blueberries at leading UK soft fruit grower S&A Produce. The Primus-D has played a key role in enabling the company to pack the product in-house, thereby greatly increasing throughput and cost efficiencies. Read all about it in their testimonial. Read the success story and discover how Blueberry Hills Farms and Heagan Farms (North Carolina & Georgia, USA, blueberry industry) depend on TOMRA’s Primus sorter to quickly and efficiently inspect the harvested product.